APLA Health is currently seeking a Healthcare Billing and Collections Specialist to join our team! 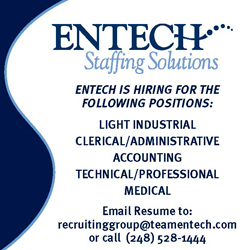 We offer great benefits, competitive pay, and great working environment! The Healthcare Billing and Collections Specialist is responsible for timely and appropriate billing of healthcare claims to patients and third party payers. Complete filing and follow-up of daily charge entry and submission of claims to health plans and IPAs, either electronically or by hard copy billing (secondary/crossover billing), securing medical documentation required by third party insurance as required. Ensure that all conditions for claim submission have been satisfied, including but not limited to: accurate charges and financial class; authorization/certification information; demographic and insurance information; ICD-10 and CPT-4 coding; patient insurance eligibility and benefit coverage. Submit all claims to clearinghouse on a timely basis. Compile and generate reports as directed. Understand and apply the Sliding Fee Discount Program as appropriate. Stay informed of changes in contracts, billing requirements and insurance types within area of responsibility; maintain knowledge of publicly funded programs, grants and third party insurance contracts including My Health LA, Medicare, Medi-Cal, managed care plans, PPOs, and HMOs. Stay current with legal and regulatory changes, and local and national trends, in coding. Follow-up with insurance carriers on unpaid claims until paid by correcting billing errors and resubmitting claims, contacting patients, contacting insurance plans, determining if a claim is a hardship case and what classification code or description should be assigned. Submit and follow-up on patient monthly statements; research patient inquireies. Maintain current working knowledge of eClinicalWorks billing module. Maintain strictest confidentiality; adhere to all HIPAA guidelines/regulations. High school diploma or GED required; Certified Professional Coder and/or Certified Professional Biller preferred. Must have at least three years of direct medical billing experience using the practice management system of an electronic health system. Dental and behavioral health services coding experience preferred. Must have a high level of accuracy and attention to detail to satisfy job requirements. Must have excellent analytical, problem solving and time management skills. Possess excellent organizational skills. Federally Qualified Health Center billing experience a plus. Experience with eClinicalWorks or a similar electronic health record preferred (will train on eCW). CPT, CDT, HCPCS and ICD-10 coding protocols, Medi-Cal, Medicare, managed care and private insurance coding and billing. Knowledge of FQHC billing protocols. Must be proficient in the use of Microsoft Office programs. Experience with professional and UB-04 claim forms. Communicate effectively with providers, other staff, and outside vendors. Interpret and review insurance EOBs, determine claim denial reasons and follow-up with corrections and pursue proper course of action. Must be well organized and detail oriented. Work collaboratively in a team environment, have excellent writing skills and be able to prioritize effectively. Must have a high level of accuracy, excellent analytical, problem solving and time management skills. Job Categories: Medical Biller Jobs. Job Types: Full-Time.